The LabImageR reader series consists of specific readers for use in routine diagnostics mainly. The readers are made to work in close combination with the LabImage Platform. They are built to deliver a fully integrated workflow to provide a more efficient and flexible process. 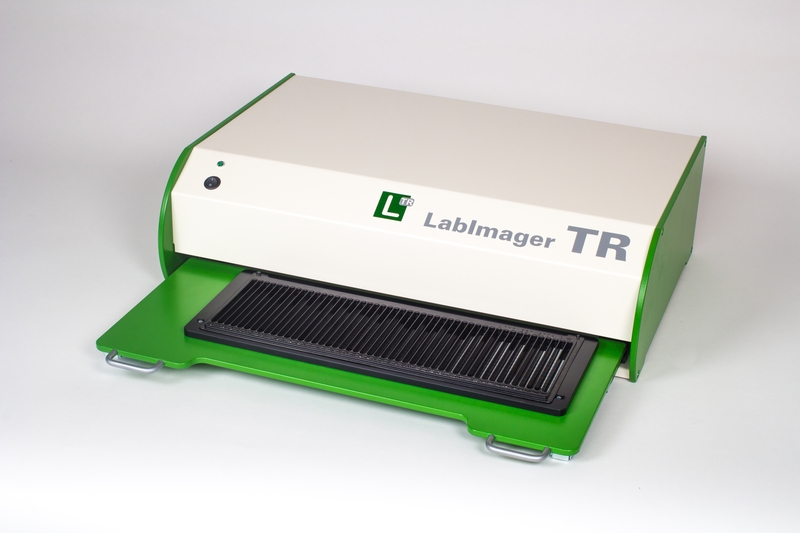 The LabImager TR is a brand new reader for routine diagnostics. It digitizes data as immuno strips, plates or broad range of trays. It is specialized in digitizing immune strips out of the processing trays with 30, 48 and 50 strips in a single step. LabImager MR – The LabImager MR (MR = Microscope Reader) is an analyzer for imaging procedures in routine, diagnostics and research. It combines the benefits of a digital and completely enclosed microscope and the fully automatic analysis of the data using a software for control and analysis in one system. This reader development is in progress. Information will follow soon. LabImager FT – Fluoreszenz-Imager for routine use . This reader development is in progress. Information will follow soon.